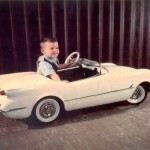 Although the wheelbase and most of the chassis carried over from 1967, the 1968 Corvette was an all-new design, and marked the start of “C3” production. 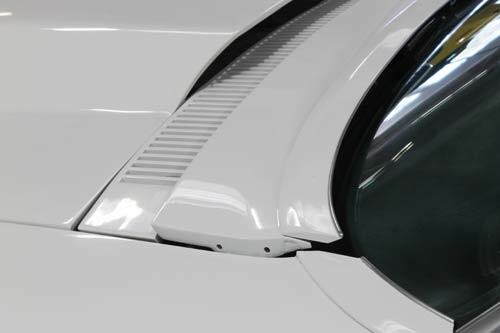 Both the exterior and interior of the new car were completely restyled. 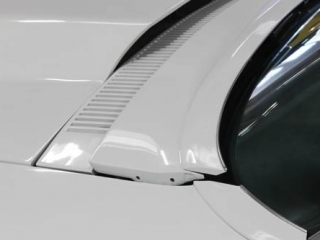 The coupes now featured removable T-tops as well as a removable rear window. Production for ’68 was 28,566 units, made up of 9,936 Coupes and 18,630 Convertibles. Only 80 of the coupes were L88-equipped. 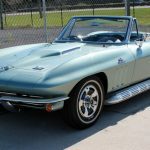 Chevrolet never identified the ’68 Corvette as a “Sting Ray” – that label would return for the 1969 model year as one word – Stingray. Power: The 327 was standard equipment. This engine was rated at either 300 or 350 horsepower (depending on transmission choice, air conditioning and power steering). 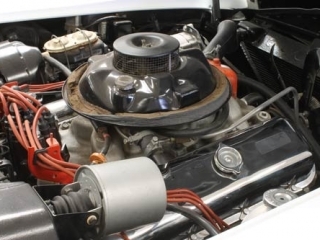 The 427 was rated at 390, 400, 430 and 435 horsepower versions – again, depending on options. 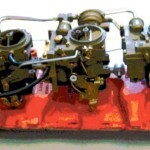 Carburetors for 1968 were Rochester Quadrajet or Holley units. 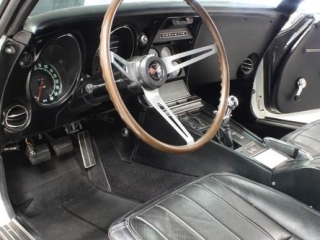 Introduced in the ’67 Corvette (only 20 L88s were built that year), that small handful of cars was only the start of Duntov’s war against the Cobras. 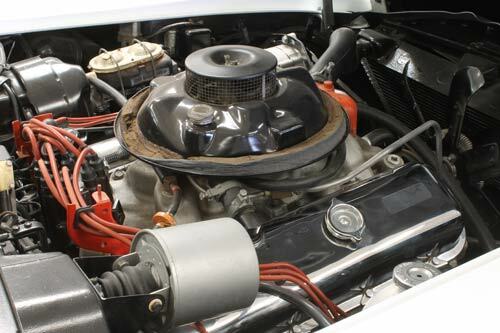 The package (see our story on this engine/package as it began in 1967 – starting on page 26) was carried over in ’68 in the new “Mako Shark” inspired body and was phased out during the following year (calendar year 1969). 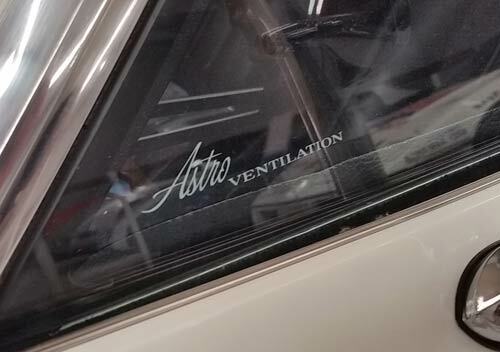 There was no chance it would be offered in production in the future as all kinds of emissions laws were coming into being in the early ’70s. In the new-for-’68 body, the L88 accounted for 80 units. 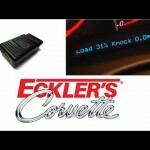 One way of checking on the number made is by the use of the heavy duty options. The records show that in ’68 only 80 M-22 “Rock Crusher” gearboxes were ordered, so they probably all went on L88 Corvettes. 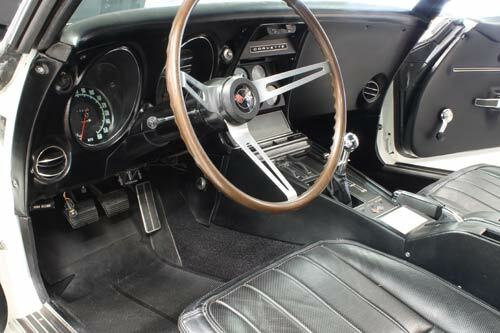 A bit odder is the fact that 81 1968 Corvettes were built with the heavy duty J56 special performance brakes – which means 80 L88s got them and one non-L88 car did as well. The last year of its offering, 1969, shows a change in sales. Word must have spread because that year, its final year of production, it recorded sales of 116 units. 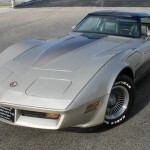 While Chevrolet acquitted themselves well on the sports car racetrack with the L88, they also did well in drag racing, where they could regularly run in the low 11 second range at over 120 mph. If you ran in a modified class where you could choose gears (a stump pulling 4.56 was available), stickier slicks, headers and open sidepipes, you could rule the track. Tuxedo Black, Polar White, Rally Red, LeMans Blue, International Blue, British Green, Safari Yellow, Silverstone Silver, Cordovan Maroon and Corvette Bronze. 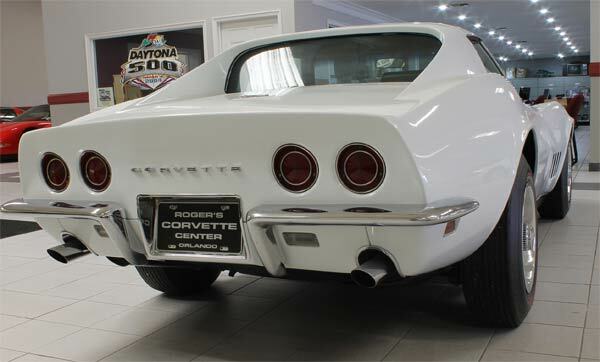 This L88 Corvette has been owned by Roger Judski of Roger’s Corvette Center in Maitland, FL since 1976. The odometer reads 17,330 original miles. This car is fully documented – it’s the one that started it all as the cornerstone of Roger’s Dream Team collection of big-block Corvettes! I read it was both the markers being moved and 4 drum brakes that needed the whole pit length to stop. I remember when the they had an IROC avent on t.v. ,, they had problems with the wheels coming off brcause these racers were really weving these cars to get the tires hot before the green flag would come out ..after the second lap tires started rolling by the tv screen the red flag came out and the race was over,, I heard that GM was so upset that they bought film of the race and destroyed it … and nothing wasever said about it ever again and when I would bring it up nobody would talk about it.. iwanted to know what the drivers tought about it.. 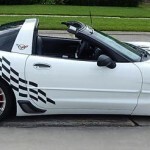 I also heard that some of the driver’s who where around 6 feet tall and taller could not even get into the car to race.. i’m 5’9″ tall and I just fit in to my 68 vette.. I also installed 69 front spindle on my car just to be safe.. what have you heard or are you keeping quite too!! I have a 68 lemans blue convertible that I love. It is a bare bones no power steering, no power brakes and no AC. A 327 four speed car that is a joy to drive. Has been painted and needs to be painted again, I hate to take it out of service to paint it. Maybe this winter. 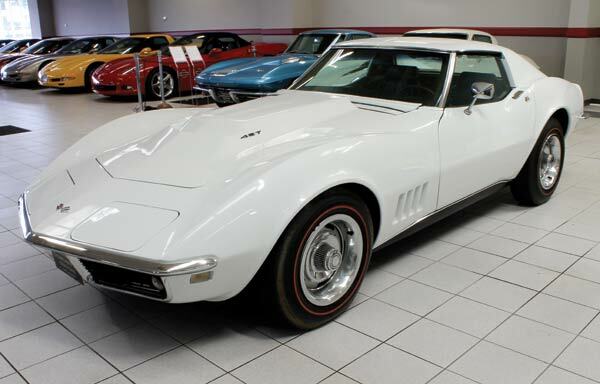 One fact not mention, might be the only car with the horsepower as the same as the cubic inch, 350-350, I had both the 63 and 68 in those respective years, had each for five years, then went to a sixty volkeswagon as I had five kids, now I am back in a corvette since 2009, and it is just right for this old guy, love it…Tom Saunders, retired Ltc Usa, my grad present in sixty three, grad from OCS, Fort Sill, Okla.